The journey of life is much like an exhilarating, exhausting mountain climb. We begin in the valleys of our lives, attempting to meet our basic human needs for safety, hope, trust, love, and purpose. Those valleys often include faulty answers which fail to meet our needs. 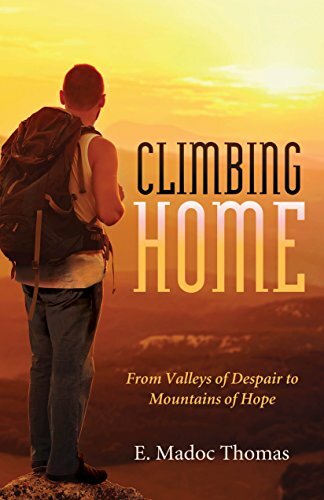 Climbing Home draws readers out of those valleys and into the light of Jesus' walking with us, loving us into life, leading us from alcoholism to hope, from cancer to courage, from marital discord to delight, from anxiety to peace, from abandonment to belonging, and from suicidal thoughts to reasons for living. The pages unfold from forty years of my ministry, counseling, teaching, and living. Climbing Home is grounded in a lifetime journey from my own dark valleys toward the fullness of God's light. You may order Climbing Home from Amazon simply by clicking here.